When a wine’s founding force is none other than Andy Erickson (former Screaming Eagle winemaker), you can be sure that fruit will be sourced from some of the most coveted vineyards in California. 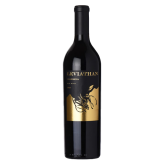 Founded by Erickson in 2004, that’s Leviathan’s goal: draw from the best vineyards in Northern California to create one unique red wine. While the composition varies slightly, each year, a percentage of Cabernet Sauvignon, Syrah, Merlot, and Cabernet Franc will be present. Leviathan is a singular, focused wine that showcases all the best characteristics of the vintage. Leviathan is a red wine created with a unique blend to reflect each new vintage.